Watch Lomachenko against Crolla in Los Angeles from 3am this Saturday on Sky Sports Main Event and Sky Sports Action. Anthony Crolla has overcome adversity since the start of his career and the ‘Rubik’s Cube’ of Vasyl Lomachenko will not daunt him, says trainer Joe Gallagher. Gallagher is no stranger in attempting to tackle boxing’s most daunting obstacles. In a decorated training career, the Manchester mentor has carried his students into a number of blazing furnaces with the likes of Saul Alvarez, Jorge Linares, and Andre Ward awaiting his eager charges. On Saturday morning at 3am live on Sky Sports, Gallagher will revert to the role of guiding an underdog once more when Crolla, a former world lightweight champion, aims to reclaim that status when he goes in with the best fighter on the planet, Lomachenko. “It helps that I’ve been in this position before,” states Gallagher. “Do I think that ‘Smigga’ (Paul Smith) was disgraced against Andre Ward? No. Was Liam Smith disgraced when he fought Saul Alvarez? Not a chance. 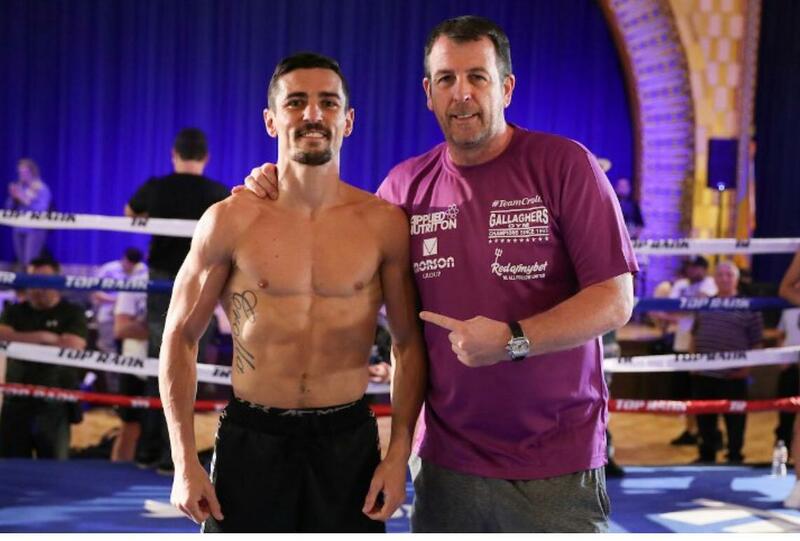 Gallagher’s 10-year relationship with Crolla as the Manchester hero’s teacher is a pact that the former ‘Ring Magazine Trainer of the Year’ is passionately proud of. Landing on Gallagher’s doorstep like an evicted tenant looking for a sofa for the night, with his short career approaching obscurity following a couple of defeats levels below the world class platform Crolla would become accustomed to, Gallagher transformed his latest project. Reflecting back to an era when his gym was much quieter and less congested, Gallagher can recall the infancy of what would go onto become one of British boxing’s most successful partnerships. “People would ask me what I was thinking of training a fighter like Crolla,” Gallagher said. “They’d say that he was far too nice to be a success and that he couldn’t punch but look what he’s done with those predictions. He’s the biggest example of nice guys finishing first and he’s done that by working hard every single day of his life and believing in himself no matter what the challenge is. Crolla’s run with Gallagher has led to the fanatical Manchester United supporter collecting a host of titles along the way. Memorable domestic tussles with the likes of Derry Mathews and Gavin Rees provided Crolla with a status as one of British boxing’s most entertaining fighters, and after surviving a vicious attack at the hands of burglars at the back end of 2014 Crolla, who was unsure whether he’d even fight again, made a miraculous recovery to win a world title against Darleys Perez the following year. In a final phone call to his “great friend” moments before leaving for Los Angeles to challenge the fighter Gallagher calls “The Rubik’s Cube”, the decorated coach declared his feelings to his fighter. “I was packing my suitcase and it just dawned on me what this lad who I’ve known since he was a 13-year-old amateur had achieved,” Gallagher said. Tune in 3am this Saturday! !